How does it feel to be a strong GM, trainer of a World Champion, and partner of one of the best female players in the chess world? Peter Heine Nielsen tells about that, and more. At the famous Magistral Casino Round Robin tournament, held in Barcelona between 23-31 October, the PR manager of the event Ana Matnadze interviewed him. Q: Hello Mr. Nielsen, welcome to Barcelona. Whom were you expecting to be the most difficult opponent? Are you happy with your play here? Which was the best and the worst game and why? A: I was certainly most worried about myself! I had played very little last year, but I was lucky to have had the European Cup just before, to get of the worst rust. As a tournament favourite I saw Ivan Sokolov. Q: You told us you had been to Barcelona before. Tell me more about that, please. Did you plan any sightseeing now? A: I visited Barcelona with Viktoria (Cmilyte) for a few days after a training camp with Anand, when she had a holiday with her older son. I definitely had some touristic plans, but as always I ended up preparing instead….. I did however go swimming regularly before the game. For me the weather here in end of October felt like a pleasant Danish summer! 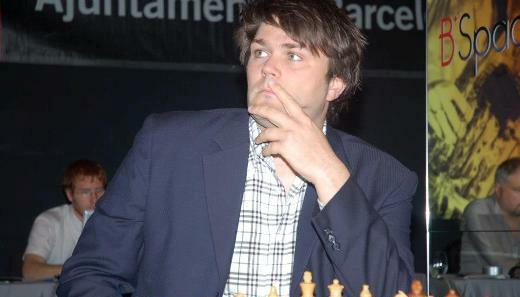 Q: Apart from being a leading GM, you are also famous for being a World Champion’s second. Could you describe a normal preparation day with Wishy? A: There is no such thing as normal. The difference between a long camp with match feeling quite away in the distance, and just before a game obviously is incomparable. But both are interesting and enjoyable. Q: I am sure you have many funny moments as well together. Could you share one of them? A: We have a lot of fun in the team, and tease each other. It makes for a healthy environment, but somehow putting specifics in writing feels wrong…. Q: Do you coach other people? If so, who are your other pupils if it is not a secret? A: I had some small session with Scandinavian juniors like Hammer, Grandelius, Mads Andersen and Rasmus Svane, and stay in touch with most of them on Skype. But its much more on a friendly basis than actual coaching. Q: You and Victorija are one of the World’s strongest chess couples. Could you name the pro’s and the contra’s of two professional chessplayers living together? A: It is definitely nice when your partner understands what you mean when I say I’m sad because I cannot find advantage against the Grünfeld, but it is also a pity that she understands how silly that actually is…. Q: And your secret as to how to recover from a bitter loss? A: It’s important to stay positive, and focus on the challenge ahead. Vallejo once told me analyzing the game with the computer afterwards only contributes to increasing ones bad mood, and I completely agree. What matters is getting ready for the next game. Bent Larsen was asked once what he did after losing, and he answered: “tried winning tomorrow”. It is obviously the right attitude, but for some, like me, easier said than done. Q: The number of Chess fans all over the world is growing every day, however, it is not yet meant as popular a sport as, for example, football or tennis… What do you think would be necessary to do to make chess more popular? What would be your strategy or ideas to attract more sponsors? A: Tennis and football is aiming too high. I would like to try having our major team events ending in a final. This year both the Chess Olympiad and the European Cup were decided by the complicated tiebreak systems, not understandable to the general public, and even most players. All major sports have a Final deciding Gold and Silver, and for a good reason. I think it would be interesting having events like this more as a sporting event, eg. formed like the football world Cup in structure. Q: What do you think about the “short draws phenomenon”? What would be the mechanism to avoid them? A: I generally think the draw problem, is less of a problem than the attention it gets. And that well researched journalism on chess-politics and even possible corruption, would be much more relevant than repeating the draw problem over and over again. I think that in private tournaments Organizers should do what they please, and that in top events it’s reasonable to apply some rules. But, for example, the European Championship where players pay a considerable amount to play, I really don’t think we need such rules. Q: What is your opinion about cheating? It is becoming a very serious problem. A: It is a problem, that with even a small device, a player can get help on an overwhelming level. Its not like taking EPO in Cycling, more like using a car…. At top level it is necessary to be some control, but obviously that is difficult on a lower level. I think a good step would be to define punishments in advance, and have rules dealing with the issue, in order not to have to deal with it, only when specific cases start appearing. Q: What does Peter Heine Nielsen think about World Championship cycle and matches? A: I am especially pleased with the outcome of the last 4 World Championships. Vishy’s performance there is one of the absolute top in the history of chess. I think a match is the right way to decide the winner, but also that it is especially important to have a just and stable qualification system. Recently too often, political factors played too huge a role. Q: There are emerging younger and younger chess geniuses every day. What do you think about this? A: Its an interesting development. Will players like Karjakin and Carlsen keep growing, or have they just reached their top level at an earlier age? It is hard to say indeed. Q: Which of these young players have the potential, in your opinion, to become a World Champion, if any? A: Carlsen and Aronian are obviously serious contenders already, and Karjakin seems to be the upcoming Russian challenger. But I still believe the “older” generation will pose the problems in the upcoming cycle. Q: You have played so many interesting and legendary opponents. 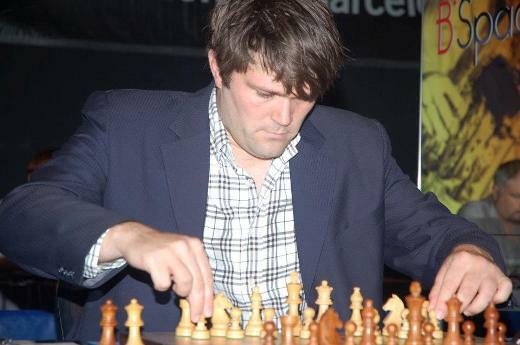 Which player impressed you the most both chesswise and in personality matters? A: Bent Larsen was a good friend of mine, and I truly enjoyed the visits to him and his wife in Buenos Aires. And I obviously did learn a lot, in a number of ways. Vishy impresses me. Most would have been frustrated while what looked like his best years, he was kept away from the World Championship cycle due to politics, but he maintained his patience, and was generously awarded. A: My experience in life is that I never manage to predict the future. It’ is similar to chess. Its not that much about planning, but making healthy decisions, and adjusting to circumstances. Thank you very much, Mr. Nielsen, for an extremely interesting interview.